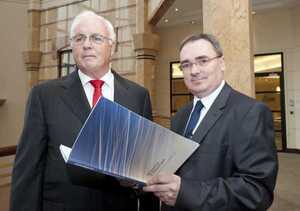 Nama chairman Frank Daly (left) and chief executive Brendan McDonagh. 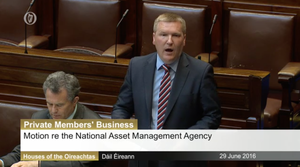 The National Asset Management Agency overpaid for the loans it acquired from five Irish banks and will struggle to recover the €32 billion it paid to the lenders and its costs, the Comptroller and Auditor General has said. 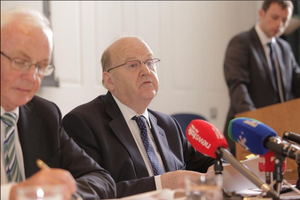 The latest report from the State’s budgetary watchdog said that even after writing down loans by 57 per cent on their original value, the price paid by the agency represents “State aid” of more than a fifth of this to the banks, or a subsidy of €6 billion. Posted in Misc and tagged Loans, Nama at 10:17 am on May 25, 2012 by Nat King Coleslaw.